Join our Donor Community and Make a Gift! A recent study suggests that heat plus chemotherapy may work better for soft tissue sarcoma than chemo alone. Researchers, using several mouse cancer models including fibrosarcoma, may have found a way to prevent tumors from metastasizing. Sounds promising! This report presents the results of a study of a vaccine injected directly into sarcoma tumors. Lab-made "microtumors" can predict which drugs will work for patients. As more targeted treatments are available, this could be key to optimizing treatment. About one in seven children with cancer have a sarcoma, and most experience a treatment that can lead to serious long-term side effects. As this article points out, many don't receive the follow-up medical care they need to minimize these effects. So crazy futuristic! Tiny robots are programmed to find and destroy cancer! We are hosting a new event called the Sarcoma Exchange July 20-22, 2018 in Atlanta, Georgia. 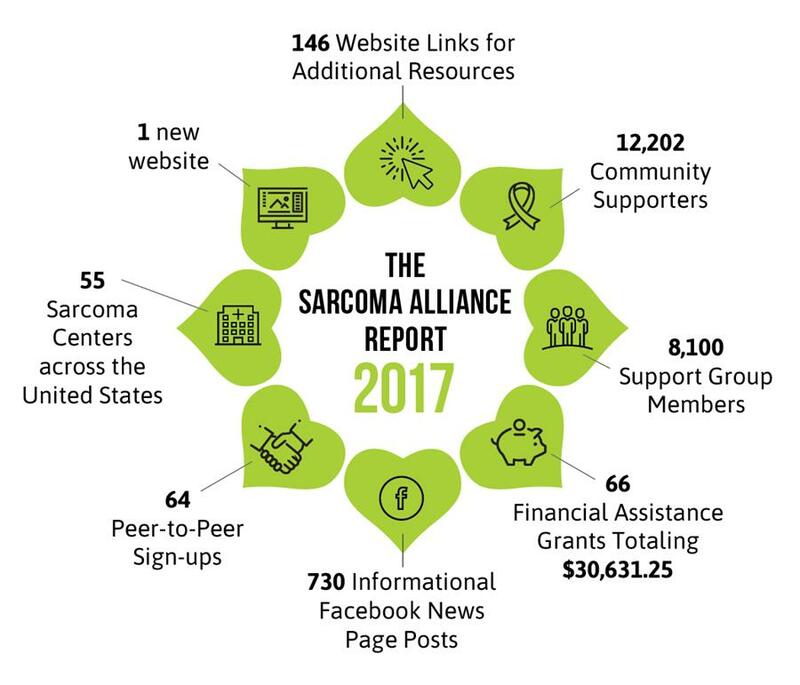 The idea is for patients, survivors, caregivers, family members, patient advocates, and medical specialists to exchange information on current therapies and support, and to develop relationships with others in the sarcoma community. Since sarcoma is not only rare but is also divided into more than 50 different subtypes, it can be difficult for people affected by sarcoma to ﬁnd others in their situation, or to get the latest information on treatment and other sources of support. This face-to-face gathering will bring people together to provide the support and information they need.